Star Wars is a strange fish. There are characters that appear on screen for less than ten seconds, yet get tomes of background information about them, get named and often even get their own action figures! Case in point is Dengar, a bounty hunter first seen in The Empire Strikes Back, he has no lines, is on screen for less than two minutes, yet spawned a whole backstory and much more. 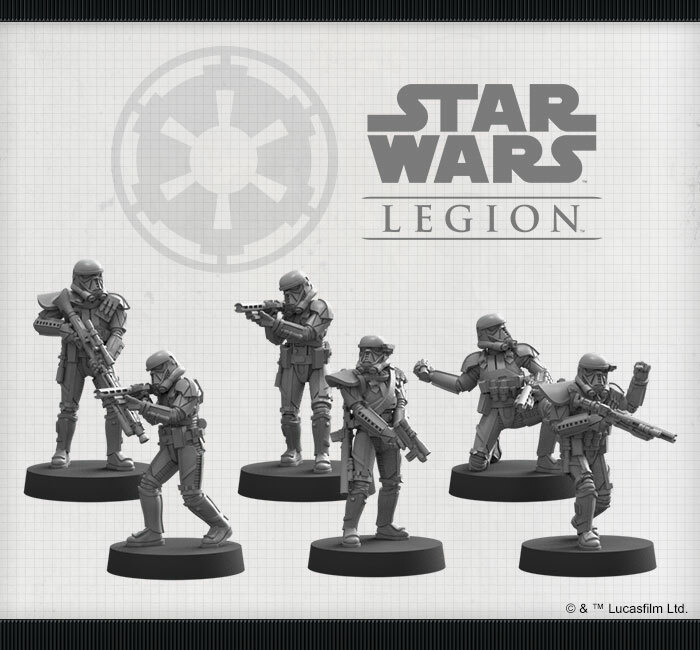 Now to coincide with the release of Director Orson Krennic for Star Wars Legion, Fantasy Flight Games are also releasing the Death Troopers as seen in Rogue One. Though they have been in the cannon of the Star Wars mythos for many years now (since 2009 in fact), though Rogue One was the first time they had made it to the big screen and although they are only present for a few moments, again they are something of a cult phenomenon. 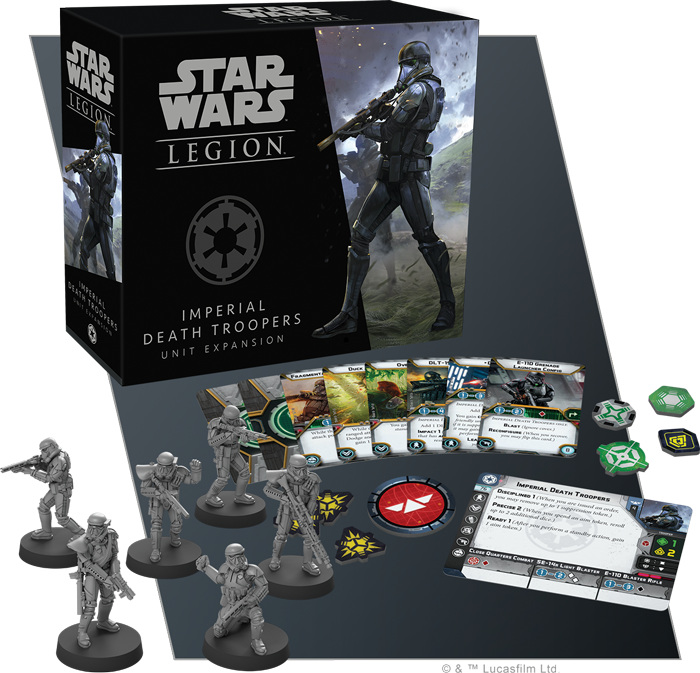 Chosen from the elite troopers in the Empire, Death Troopers act as bodyguards for high ranking officers such as Krennic and Grand Moff Tarkin, and are equipped with the latest and best weapons and equipment available. They are distinctive in the all black armour and make use of vocal scramblers to mask their voices and add another air of intimidation to them! The Death Troopers expansion includes 4 troopers armed with SE-14r light blasters , and a trooper armed with the E11-D complete with grenade launcher and a trooper with a heavy DT-F16 blaster, ideal for long ranged attacks and really packs a punch that can cut through even tank armour. .
Game wise these are ideal units for taking and holding an objective and a good choice of using them is with an ATST as support, three squads of Death Troopers and Krennic in command. They have the ability to remove suppression tokens from them when you put them on ready or standby which makes them pretty difficult to take out as it is, but add Krennic and they take on a whole new meaning to Death Troopers! 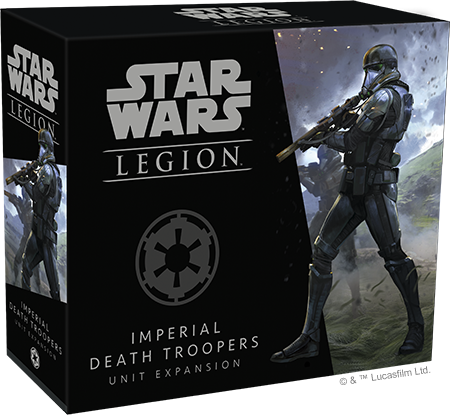 The Death Troopers Expansion is due out soon and is on pre-order from Fantasy Flight Games right now. 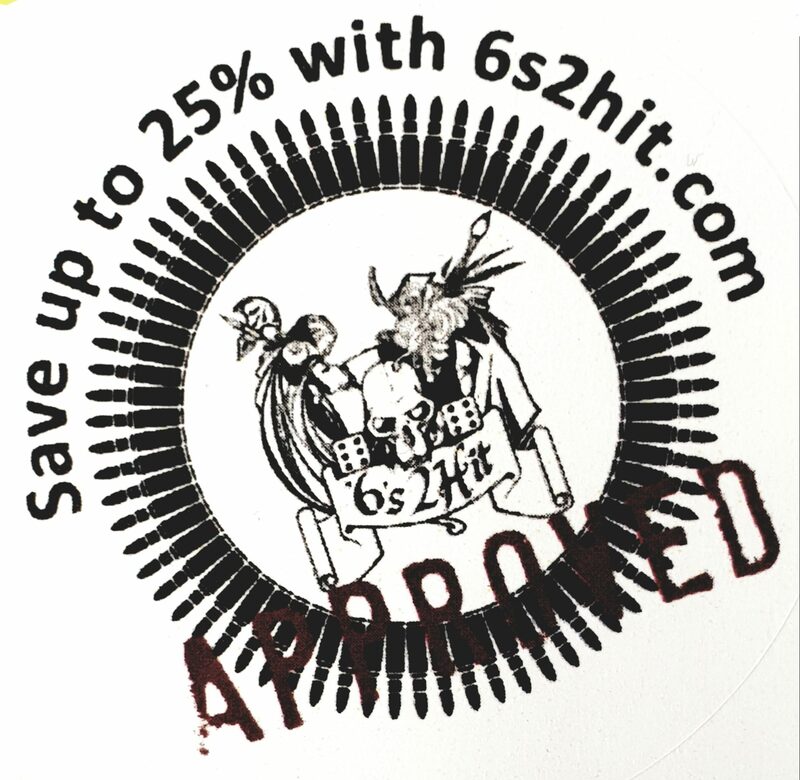 Gamers Web recommends 6s2hit.com for great value and up to 25% discount on retail prices!